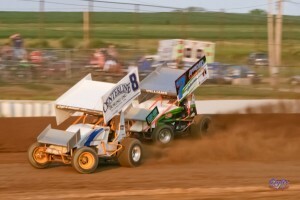 The photos from July 9 at Mercer Raceway Park have been added to our gallery. Once again, our grateful appreciation and thanks go to Toni Carbone for filling in as Paul continues his recovery. Saturday Night Live! racing saw two first-time winners at Mercer Raceway Park, as Todd Gabriel (Big Dog R/C Center Mini Stocks) and Michael Bauer (ti22 Performance Outlaw Sprint Warriors) celebrated in victory lane. Joining them were Jeff Schaffer (Approved Toilet Rentals 358 Modifieds), Danny Holtgraver (Luxaire Heating & Cooling Sprint Cars); Alan Knepper (Big Daddy’s Speed Center Modified Lites) and Rusty Moore (Precise Racing Products Stock Cars). 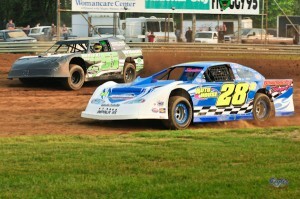 Photos from July 2 at Mercer Raceway Park have been added to our gallery. Special thanks to Toni Carbone, who is helping out Paul while he has to deal with health issues. Mercer Raceway Park celebrated American Patriot Night, but no one celebrated with more gusto than Dan McEwen, a first-time winner in the Bog Dog R/C Center Mini Stocks, and Rod George, who was victorious at Mercer for the first time in more than a year. The Tugboat, Lonnie Riggs, docked in victory circle in the Approved Toilet Rentals 358 Modifieds, Gary Edwards was quick out of the box in the ti22 Performance Outlaw Sprint Warriors, Terry Wheeler broke Rusty Moore’s winning streak in the Precise Racing Products Stock Cars, and Shane Pfeuffer dashed home first in the Big Daddy’s Speed Center Modified Lites. Plus, fans young and old were awed by a Fireworks Spectacular provided by Walt’s of Mercer Plaza and Pizza Joe’s. 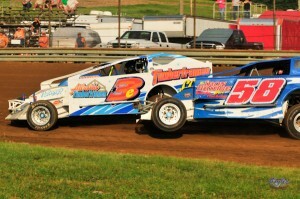 The photos from June 25 at Mercer Raceway Park, featuring the BRP Modified Tour, have been added to our gallery. Kevin Bolland made a daring last lap pass of leader Brian Swartzlander and went on to win the thrilling BRP/Hoosier Tire Modified Tour race presented by All Metals Recycling of Rochester, PA. Bob Felmlee survived a marathon run in the Luxaire Heating & Cooling 410 Sprints, Rusty Moore charged to his third consecutive win in the Precise Racing Products Stock Cars, and Guy Griffin returned to victory lane in the ti22 Performance Outlaw Sprint Warriors. Tim Gillette captured the Kaboom 100 Enduro. 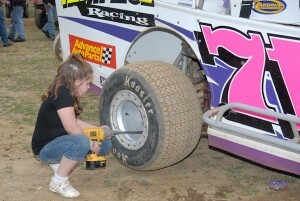 The photos from June 11 at Mercer Raceway Park have been added to our gallery. With the rain sprinkling on the last two features of the night, Mercer Raceway Park moved quickly through the entire Saturday Night Live program with Brian Ellenberger, Rusty Moore, Jimmy Holden, Brian Miller, Jerry Batcher, and Mike Lutz visiting victory lane. 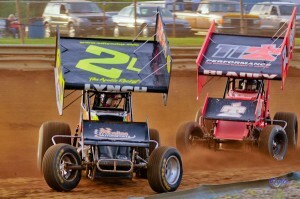 The photos from June 4 at Mercer Raceway Park have been added to the gallery. With looming rain on the horizon, Mercer Raceway Park made quick work of the program last night, crowning Cap Henry, Frank Guidace, Brian Miller, Pete Blazczak, Mike Lutz and Russ Byler the winners in six divisions of Saturday Night Live racing. The Pittsburgh Circle Track Club was also on hand to honor the winning drivers and provide giveaways for the many fans in the grandstands! Photos from May 21 at Mercer Raceway Park, featuring the All Star Circuit of Champions Sprint Cars, have been added to our gallery. Mercer Raceway Park locals gave the All Star Sprint Circuit of Champions teams a run for their money last night but it was current hot shoe Daryn Pittman that came out the victor, picking up the $5,000 feature win over a strong 46-car field. 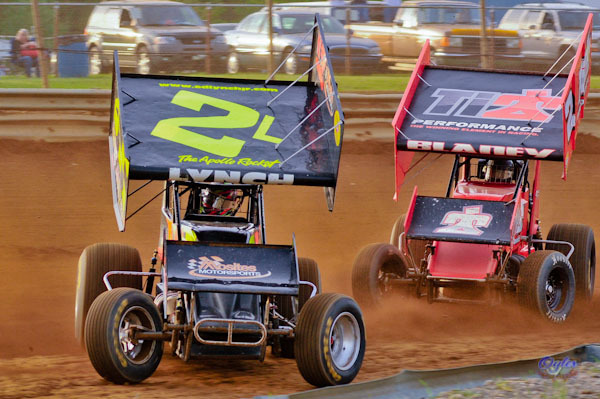 Pittman is on a streak, having swept the weekend with a victory at Lernerville Speedway on Friday following a World of Outlaws win at Williams Grove last weekend.